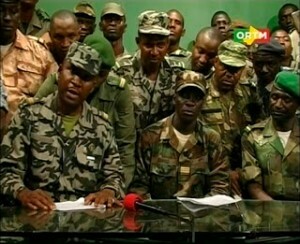 Mali: MOU negotiations during and after a coup? Something tells me that the April 24th CPAC meeting to discuss extending the MOU with Mali might get delayed. Thats right folks, incredibly bad timing: the State Department is currently seeking comment from interested parties about our long-standing antiquities MOU with Mali (due April 3rd, btw). As previously stated, there was at least a “coup attempt” in Mali today. Can we still negotiate with a government that may or may not exist? What happens in these situations? Sure this is all extremely premature. This coup *SEEMS* (from my distant perch in Cambridge, Mass) to have come out of nowhere: there were going to be normal elections next month. Elections so normal that the current president (who apparently won his seat cleanly last time around) is not seeking re-election as per the constitutional time limit (*ahem* Hugo Chavez *ahem* Evo Morales *ahem*). The people who seem to be involved in the coup are relatively junior officers and it seems they have taken the presidential palace and the national television station. No one seems to know just where President Amadou Toumani is, but he is “secure” according to unnamed defense sources. Pierre Boilley of the Sorbonne told Radio France “It’s not entirely clear that power has been taken.” The New York Times says “Whether power in the country has been definitively seized remained an open question.” Al Jazeera is calling it a “coup bid”. Successful or not, this is a rough situation in Bamako and I have my fingers crossed for the museum. But this is Mali’s first coup since 1991. 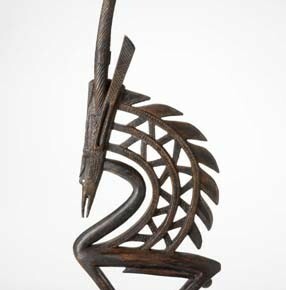 “Emergency” restrictions were placed on Malian material in 1993 and the full MOU went into effect in 1997. The agreement was made with a (presumably) stable Malian government. I guess the big question for all you experts out there is: how does the US State Dept proceed in a situation like this? It is a little while before the Mali MOU expires, but a coup attempt, failed or otherwise, will surely cast a dark shadow on discussions of the MOU in April. It seems like a horrible catch-22: when national security falls to bits, sites and museums are way more likely to be pillaged than when there is rule of law, thus Malian stuff is way more likely to be smuggled out. YET, the whole point of the MOU is mutual commitment. How can a government that either just survived a coup or just came IN on a coup promise to secure their heritage? Isn’t there an assumption of a stable partner government? Has there been any other MOU discussion right around a coup? I know the Honduras agreement was extended in 2009 but that was done a couple months before the coup/constitutional crisis/whatever you want to call it.